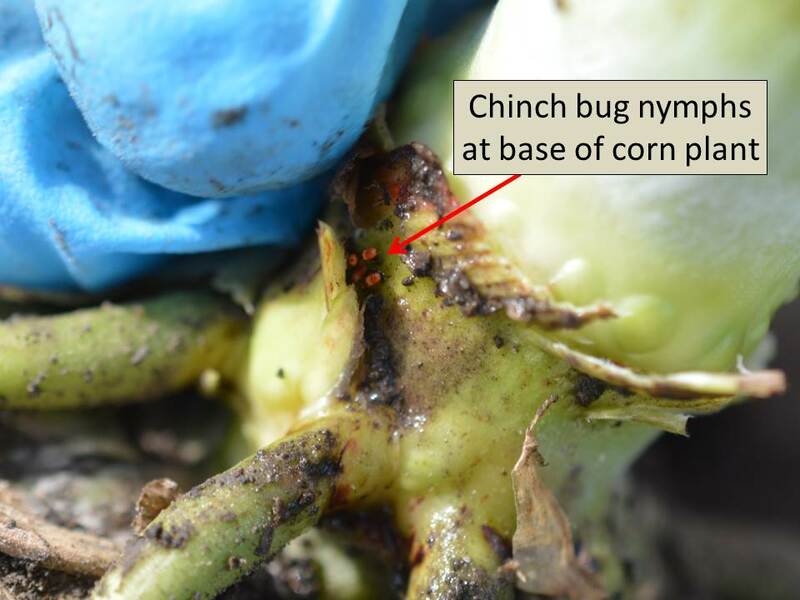 Adult Japanese beetles have been detected around north central Kansas in the last 7-10 days. 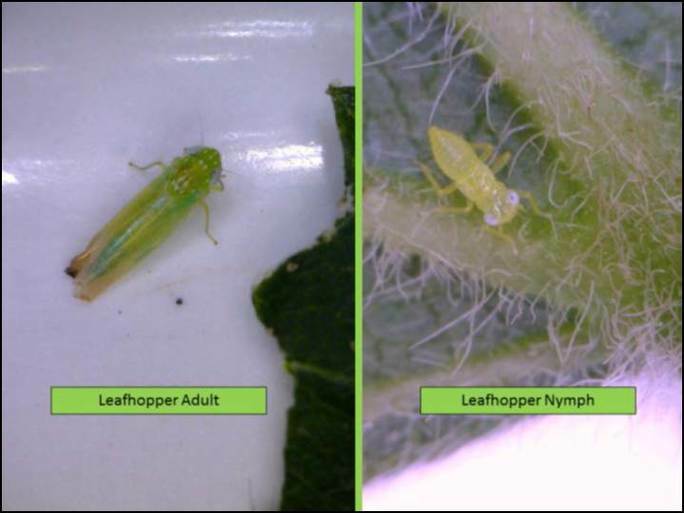 These adults may feed on corn, sorghum, and soybean leaves, as far as field crops are concerned, and may cause some “window paneing” much like the leaf feeding of adult corn rootworms. 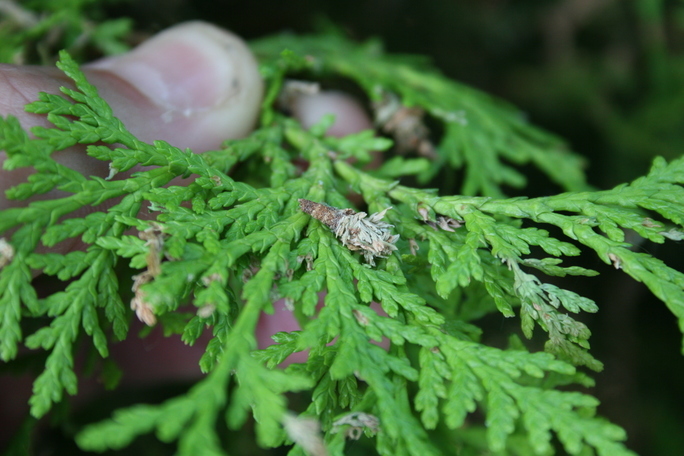 However, this leaf feeding usually is of little consequence. 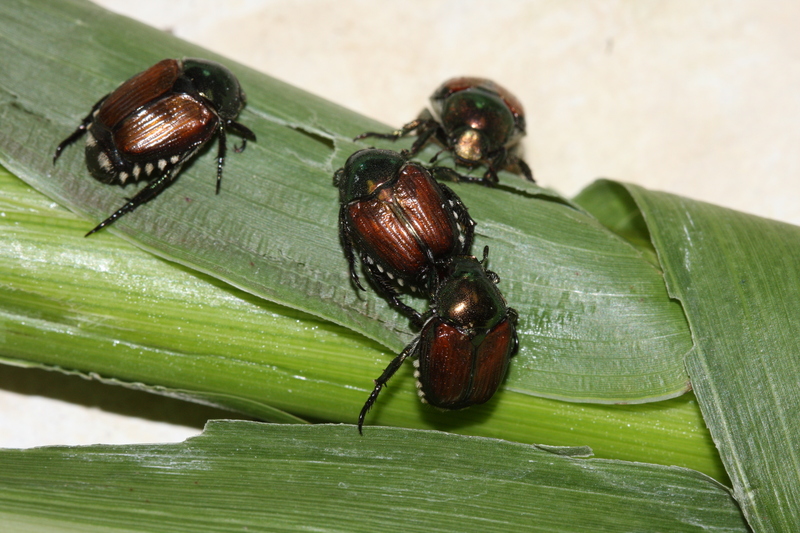 In corn, these beetles will be attracted to the silks and, as they can be very veracious feeders, may clip these silks at a pretty good rate. 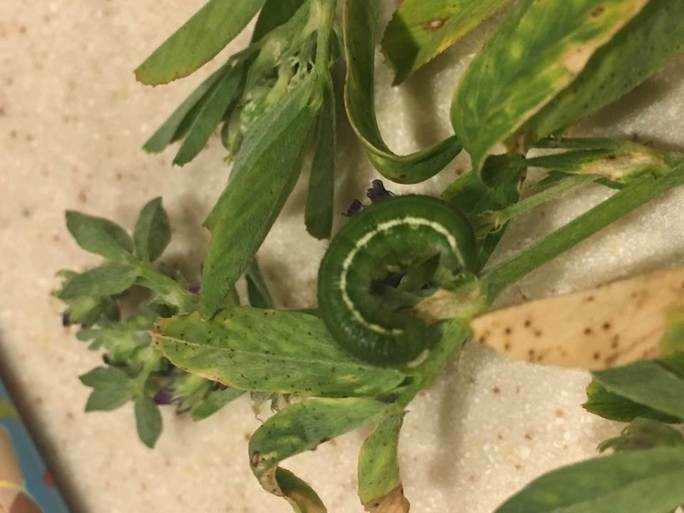 Fortunately, they are usually localized to small “hot spots” in some fields and thus do not really justify any insecticide application. 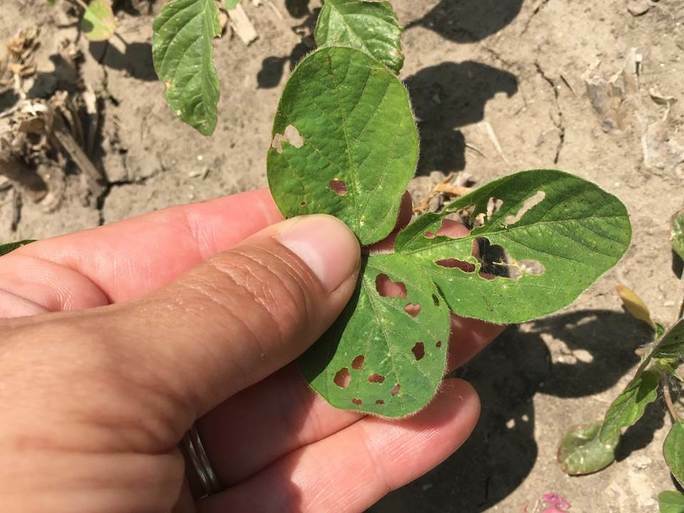 These adult Japanese beetles may be active for another couple of weeks, after which only eggs and larvae will be present, and these life stages are not a threat to these crops. Soybeans seem to be growing really well around north central Kansas. 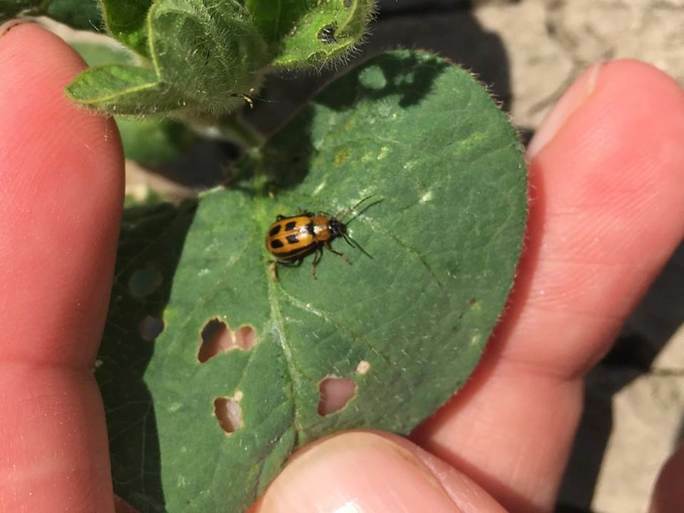 As these plants start germinating and growing, however, they provide very attractive hosts for bean leaf beetles. 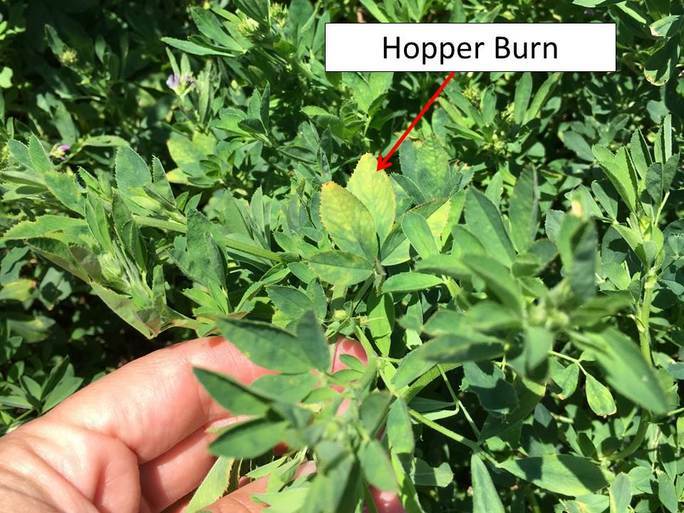 These soybean pests have been inhabiting alfalfa fields and grassy areas since last fall, waiting for these first soybeans. They are very efficient at finding young, succulent soybeans when the plants start emerging. 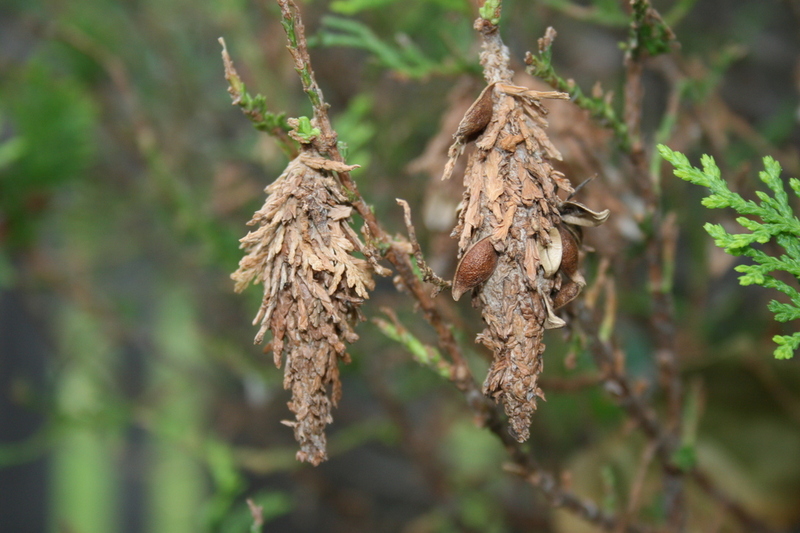 They are also relatively unique as foliage feeders because they usually chew round and/or oblong holes in the leaves. 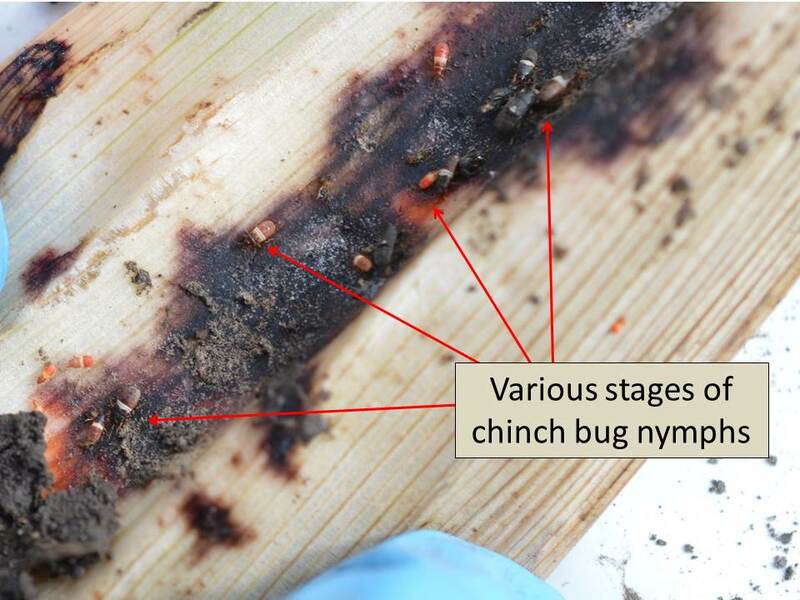 Western corn rootworm development seems to be progressing rapidly. In north central Kansas, corn plants have been struggling to germinate and grow up until last week. 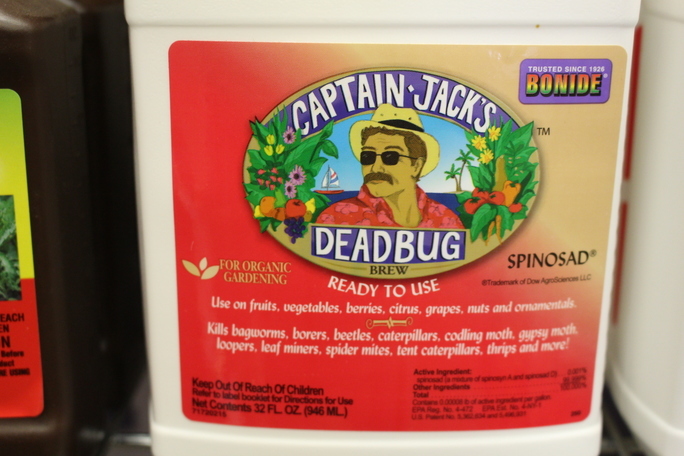 But, the rootworm larvae in the soil seem to be doing well. 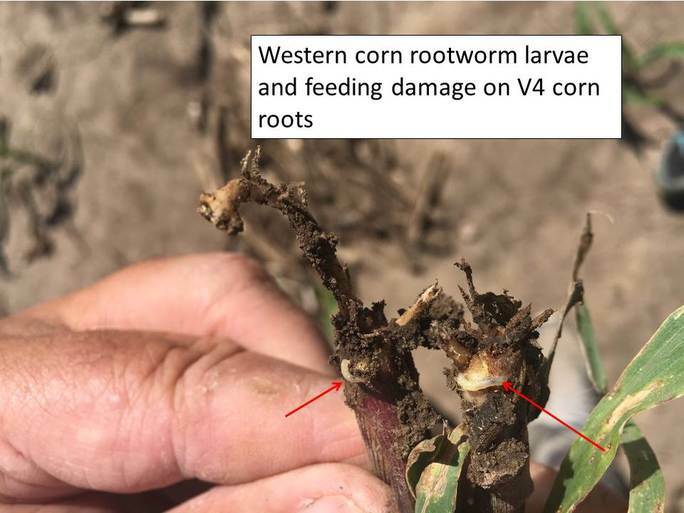 So, these smaller root systems will be more impacted by this rootworm feeding, thus stressing these small plants, and in some cases, even killing them. 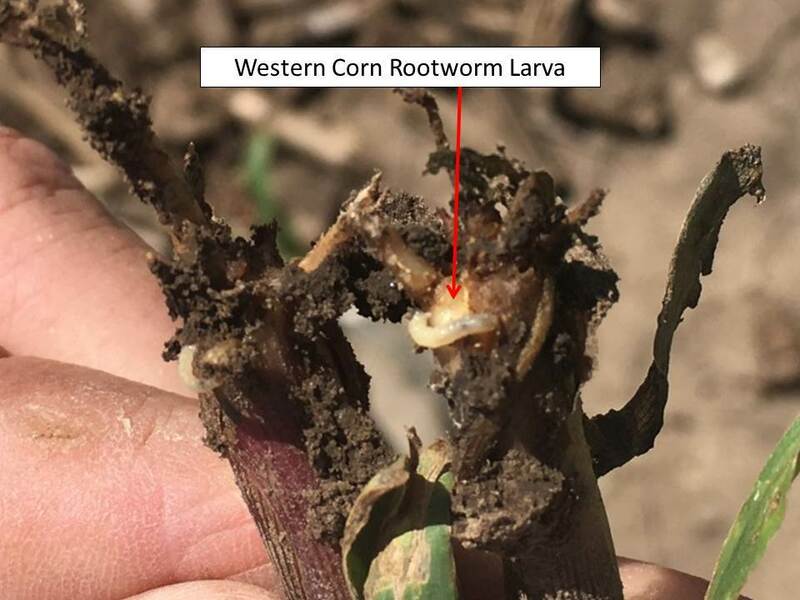 Corn rootworm larvae were first detected on 17 May this year.